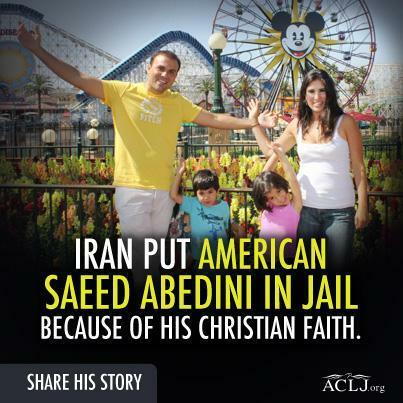 Some of you have followed the story of the Iranian pastor Saeed Abedini. I’ve included a video in this post in which his wife Naghmeh speaks of her husband’s eight year sentence to a horrific prison. Saeed was in Iran helping with an orphanage when he was arrested for sharing his faith in Christ. His wife is still struggling with how much she should tell the children about what their father is going through. Please watch this video from www.savesaeed.org and let God touch your heart through it. You can also sign a petition pleading for Saeed’s release at this site. My introduction to The Voice of The Martyrs came through a newsletter handed to me in 2003. The stories in this publication disturbed me greatly, yet I was compelled to learn more. Randy Alcorn gives a message on the persecuted church at Good Shepherd Community Church in 2005, titled "Those of Whom the World Is Not Worthy."